Silver Creek was constituted as a Baptist church on 8 November 1816 by Elders William Tyner of Cedar Grove, Stephen Oldham of New Bethel, and John Burnes and James Smith of Newhope. The charter members were William Cason, Mary Cason, Richard Arnold, Eleanor Arnold, Zachariah Ferguson, Mary Ferguson, James and Mary Tanner, John and Sarah Stapleton, Joseph and Agnes Campbell, Joshua and Fannie Palmer, James and Rebecca Armstrong, Elisha and Lettin Burbidge, Elijah and Mary Cason, Cason and Elizabeth Buckhalter, Elizabeth, Charlotte, Amy and Nancy Stiles, Phebe Elston, Sarah Daughterty, and Hannah Burt. 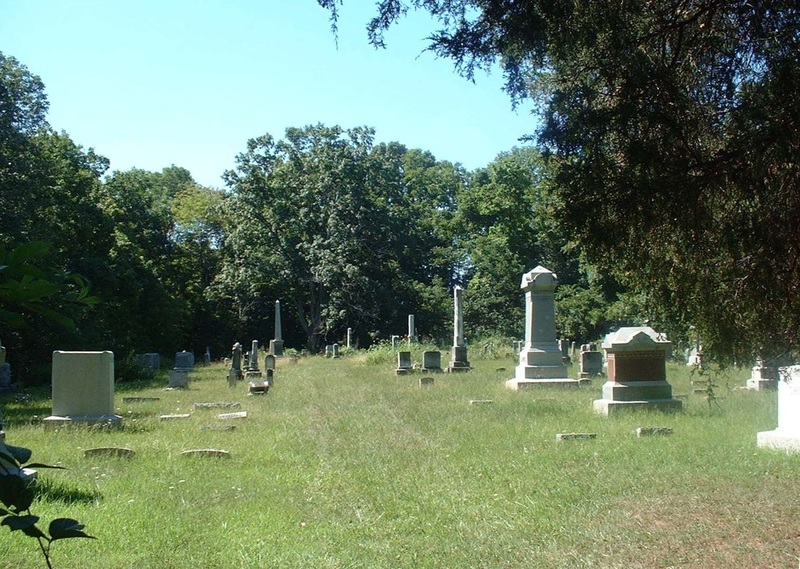 Other early members were Joseph and Sarah Vanvacter, Margaret Cason, Lottie Stiles, Elder James Smith, Zephania Burt, Mary Stiles, Susannah and Barbara Hanna, Thomas and Mary Cason, and Isaac Cox and wife. Joshua Palmer was the first clerk and Richard Arnold the first treasurer. On 27 November 1820, for one dollar, Joshua and Fanny Palmer sold two and a half acres to Zachariah Ferguson, James Tanner, and Joseph Vanvactor, trustees of the Silver Creek “Babtist” Church, “for the special purpose of a place for Divine worship and a public burying ground for the neighborhood.” The land, in the northeast quarter of Section 11, Township 11, Range 2 West, included the graveyard and the meeting house, indicating they had already been established. The church was almost certainly organized after the death of Rev. Joshua Palmer, since he took no part in its organization. He may have been buried here. If so, a marker no longer exists. Two views of the cemetery. Gravestone of Wm. Cason, Born Sept. 19, 1797 Died May 16, 1850. Atlas of Union County, Indiana (Chicago, Illinois: J.H. Beers, 1884), 57. ]2] Maurice Holmes, Early Landowners of Union County, Indiana (Indiana? : M. Holmes, 1978? ), 63, citing Franklin County Deed Book P:231.